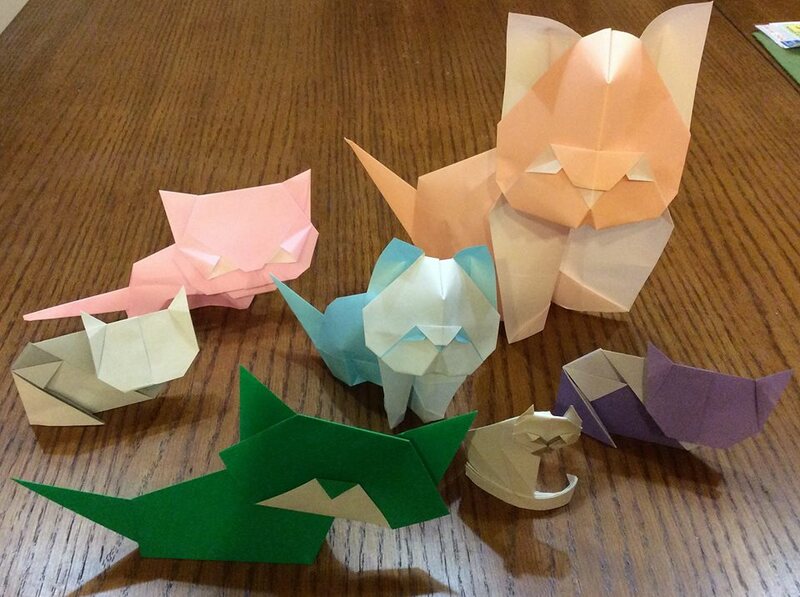 ORIGAMI WORKSHOPS - Children 12 and up are invited. Calling all Junior Librarians to Alamosa Public Library! Alamosa, CO – Have you ever wanted to become a Junior Librarian? 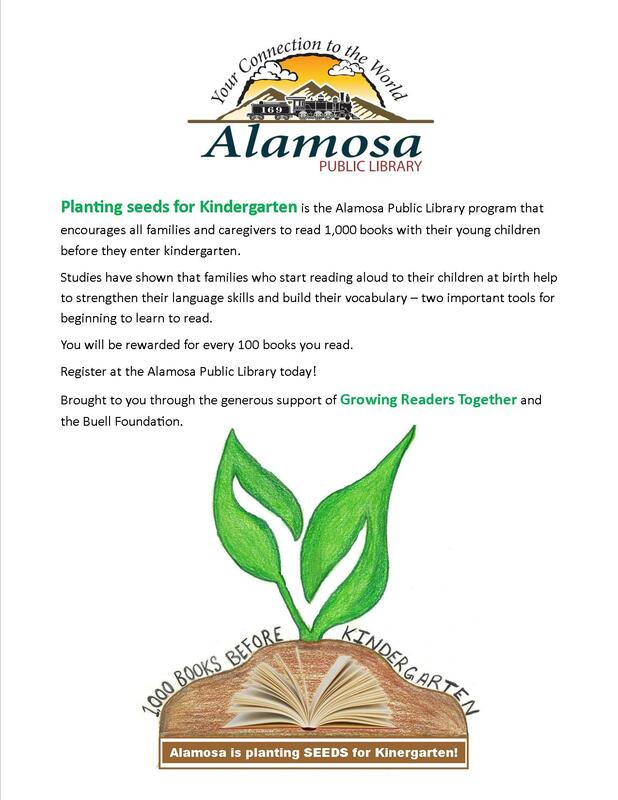 Well, Alamosa Library needs your help! Thanks to a huge donation from the Grow Your Library program, the library has over 300 new books to shelve! Do you know your ABC’s and 1-2-3’s? Come to Alamosa Library on Friday, April 12th at 4:00 p.m. earn your Junior Librarian badge and help to put these brand new books in their rightful places on the Easy and Juvenile Fiction and Non-fiction shelves! Librarians work up an appetite, so there will be book-friendly after school snacks available. All ages are welcome. The Grow Your Library Shelving Event for Junior Librarians will be from 4:00 to 4:45 on Friday, April 12th to be followed by the library’s monthly Movie Night at 7:00 p.m.
1st Announcement - OneBook Colorado coming in April! Mister Rogers' Neighborhood - In this variety of videos, children are not only introduced to people and places far beyond their own neighborhood, but also are invited to create a relationship with a trusted adult who addresses their inner feelings and concerns. …bringing early literacy tools to your doorstep! 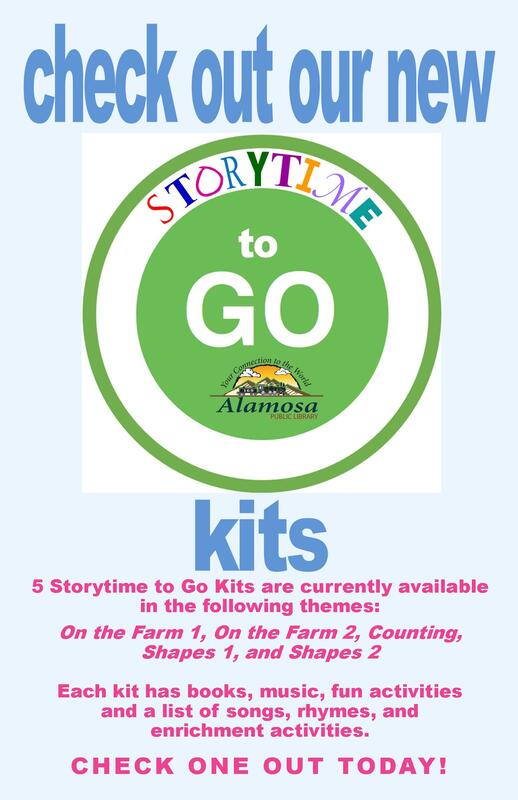 the Alamosa Public Library’s Storybox Special Delivery! This program is designed to assist in-home, licensed childcare providers. 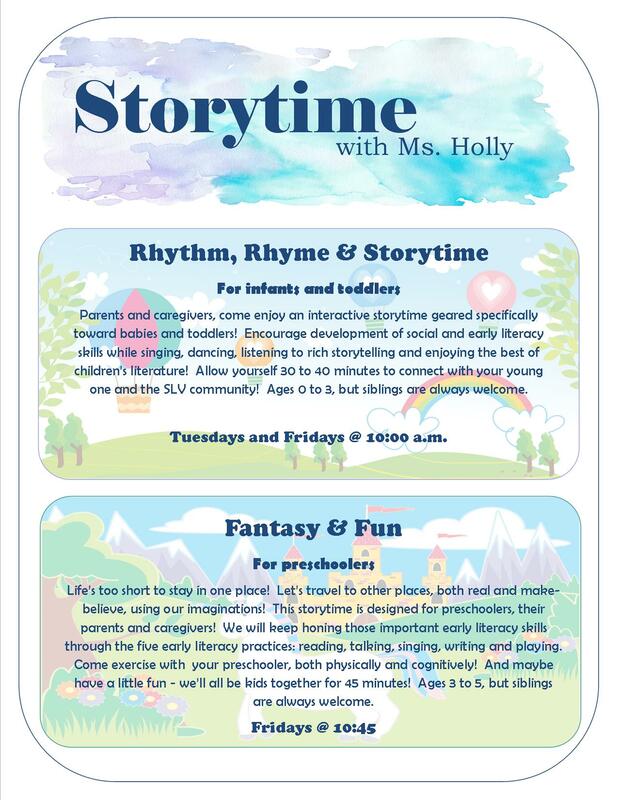 Each of the 21 different Storyboxes contains picture book and board book titles that are specially selected to enhance storytimes and early literacy activities helping caregivers provide literacy-rich experiences to the children in their care. Additionally, each box has two or three “teacher titles” that will help with business management and growth, as well as titles that will nurture the caregiver’s early literacy, teaching, and child development knowledge.